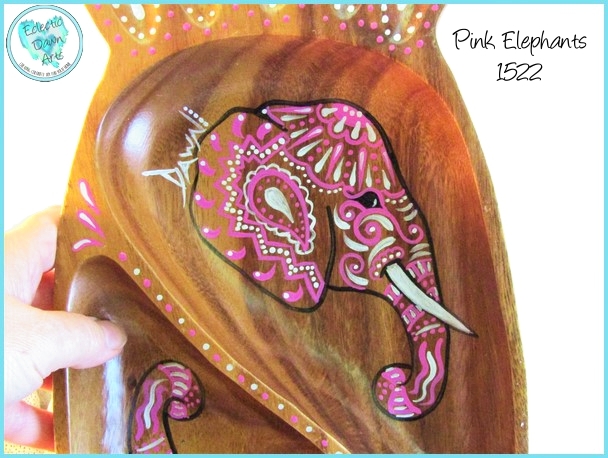 "Pink Elephants" tray, approx. 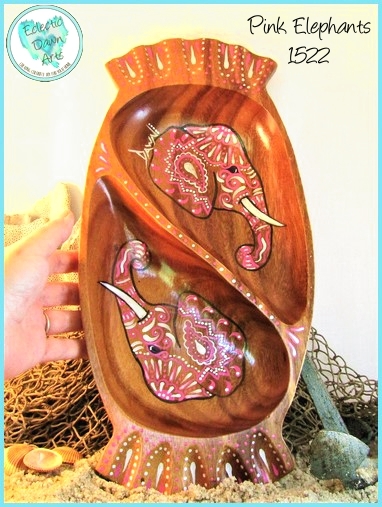 15" x 7.25", this painted monkeypod wood tray is adorned with two elephant heads done in henna style in pink and metallic silver paint. A lovely piece that would fit in almost any decor, elephants are said to remove obstacles, bring mental strength, loyalty, and good luck! Free shipping. Not food safe, wipe with damp cloth to clean, do not put in dishwasher. 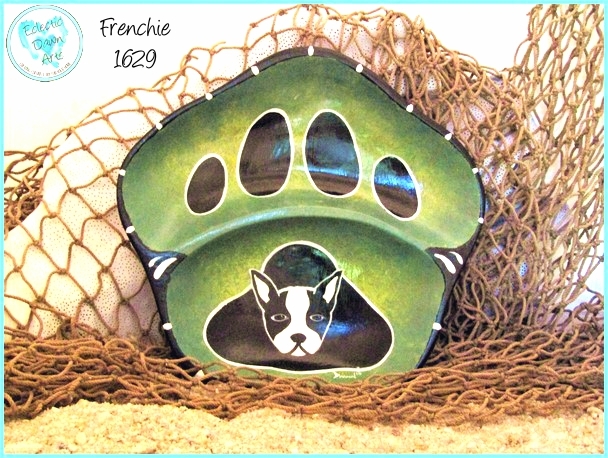 "Frenchie" (accessories not included) – TB1629: ~6 1/4" x 6 3/4" with a green and yellow mottled background (sizes are approximate due to the organic shapes) Who doesn't love their furkid? Here's a very special breed of dog, with "that" look. 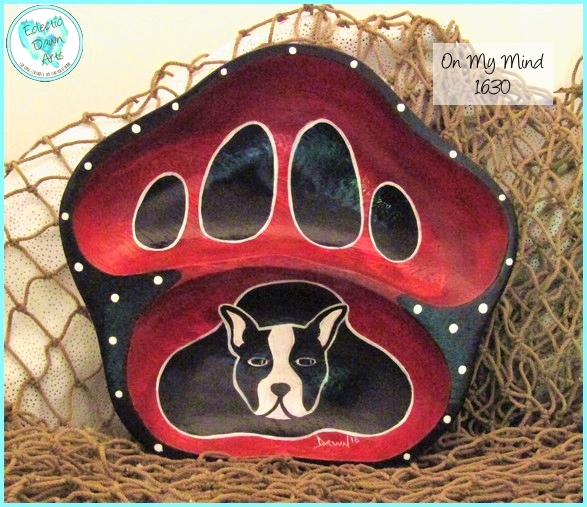 This pawprint trinket bowl makes a great gift for a vet or pet lover gift! Free shipping. Not food safe, clean with damp cloth, do not put in dishwasher. 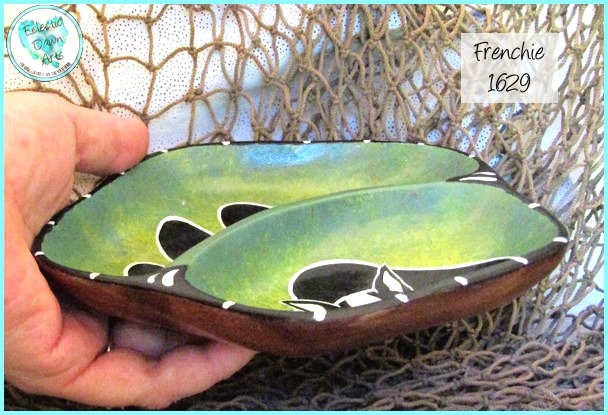 'Blue Butterfly' Trinket Tray or Decorative Bowl TB1708 (accessories not included), ~15.75 x 9.5 inch, double clam shape (sizes are approximate due to the organic shapes). 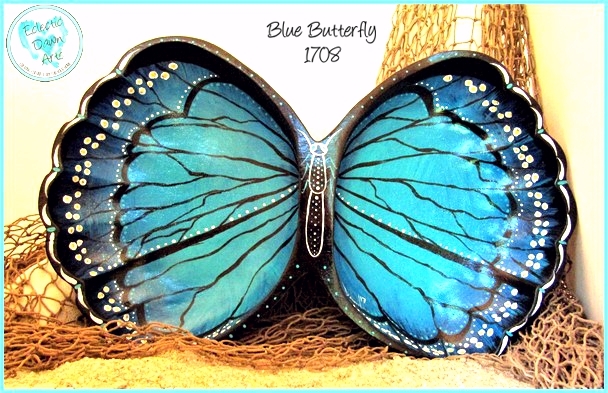 Capture this blue butterfly before it flies away! 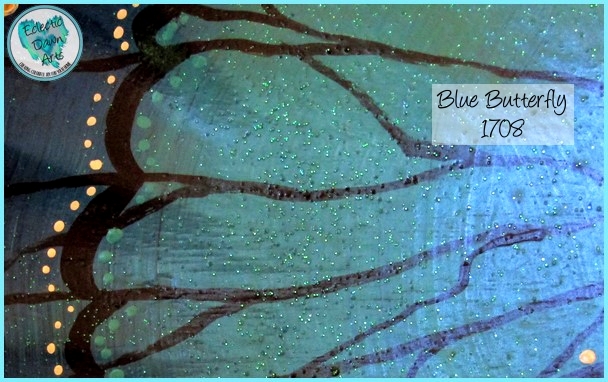 The wings are teal to blue to black (SO difficult to capture this color change in a photo), with glitter sprinkled into the paint to catch the light. 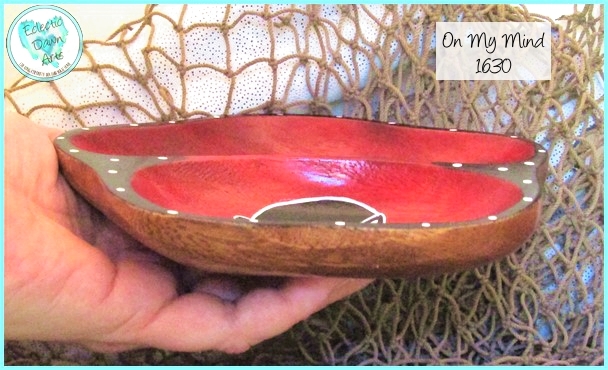 This piece is almost 16", and will make a big impact wherever you let it land! Attach a hanger to the back and put it on the wall of your nursery for visual impact! Free shipping. Not food safe, clean with damp cloth, do not put in dishwasher. 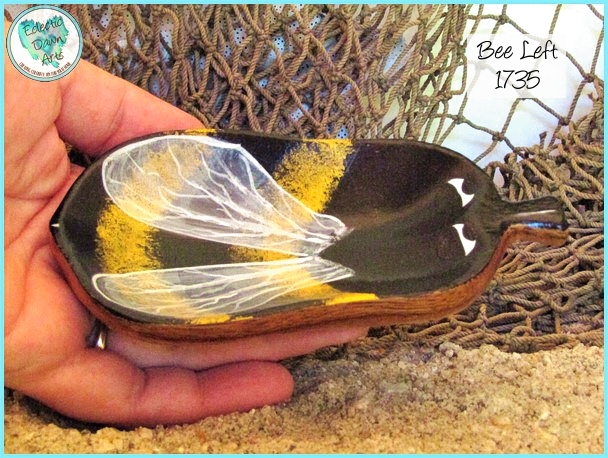 #1735 : 'Bee Left' SINGLE Bee Trinket Tray (accessories not included), Ring Keeper, SIZE: approx. 5 1/8 x 3 inch. 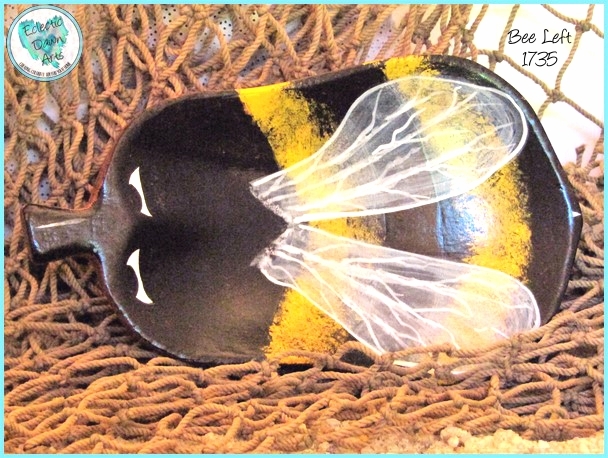 This sweet little bee looks to the left, and will be happy to perch anywhere you'd like him to sit. He'll hold your rings or small barrettes, or will bring a smile to a corner of your desk where he can hold a few paperclips. **(This listing is for 1735 ONLY. )** Free shipping. Not food safe, clean with damp cloth, do not put in dishwasher.